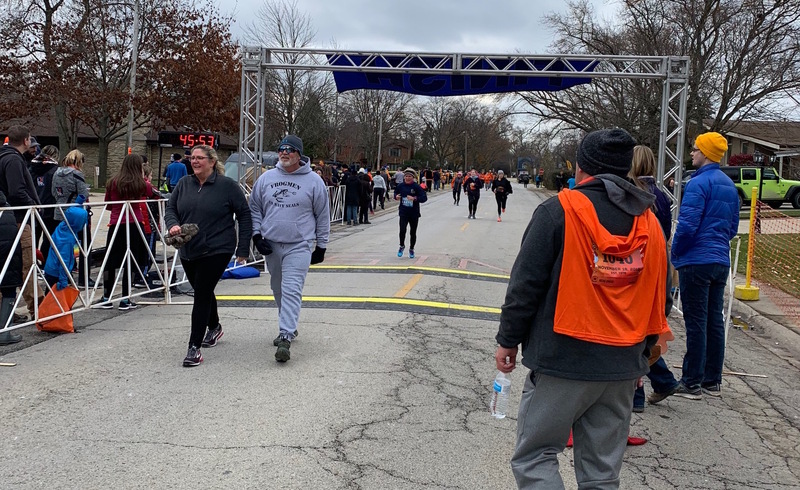 On Sunday, the Village of Lincolnwood held its annual Turkey Trot featuring a 5K and 10K race, as well as a 5K walk. The morning was brisk but the Village had several warming tents and fire pits set up around the start line to keep runners comfortable prior to the start. This is a CARA-certified, chip-timed race that showcases the residential areas of Lincolnwood. 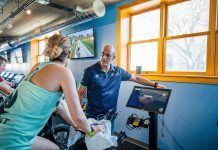 Both race distances started at 8:45 a.m., although we were delayed about five minutes at the start line, as emergency response teams responded to an small incident that had occurred along the course route. The crowd was large but lined up by pace time so it was fairly organized as we began the race. Just past the first mile, the 5K-ers were routed away from the 10-K racers leaving lots of space for runners to enjoy the scenic streets of Lincolnwood. The entire race was on the asphalted streets as we wove through the residential neighborhoods. Aid stations were located along the route and crowds lined nearly the entire route cheering us on. There was only a slight chill, making for a great kick off to the turkey trot season! All runners received a festive long-sleeved, bright orange t-shirt and a turkey medal at the finish line. First through third female 10K winners were Anneleise Schulz, Lauren Hintz, and Megan McGreal. First through third male 10K winners were Jaime Marcos Jr., Jonny Fernandez, and Bobby Thompson. First through third female 5K winners were Columbia Montes, Xochilt Lopez, and Gloria Romero. First through third male 5K winners were Mathew Olech, Peter Wenzel, and Nicol S. Delgado.